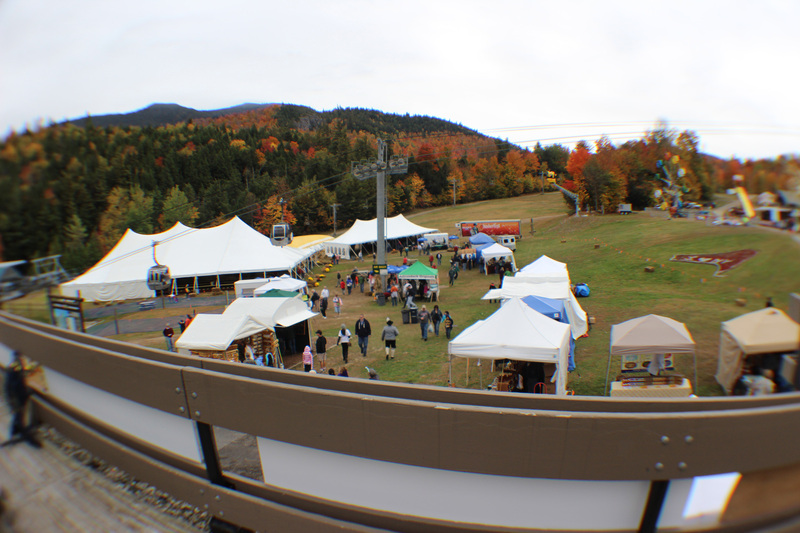 Looking out over the grounds of the area, many local vendors set up tents to show off their homemade products every year. 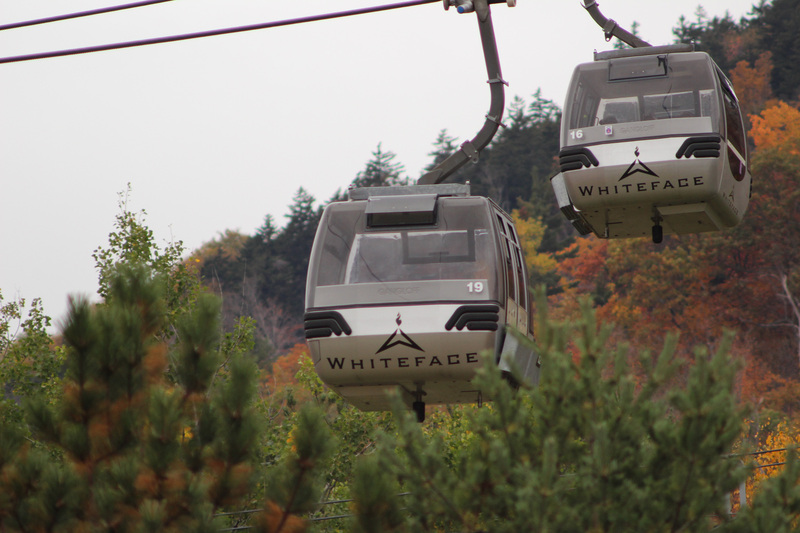 The quickest way to the top of Little Whiteface! 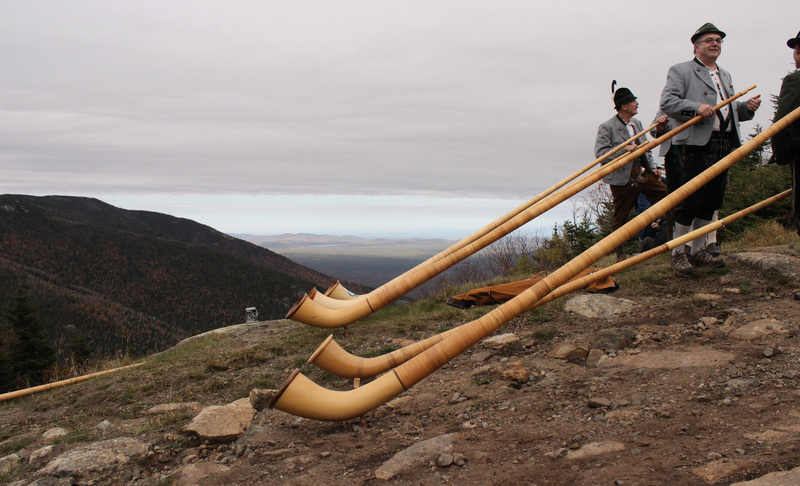 A group of 3 yodelers and their alphorns, these instruments were traditionally used for communicating mountaintop to mountaintop in the past. 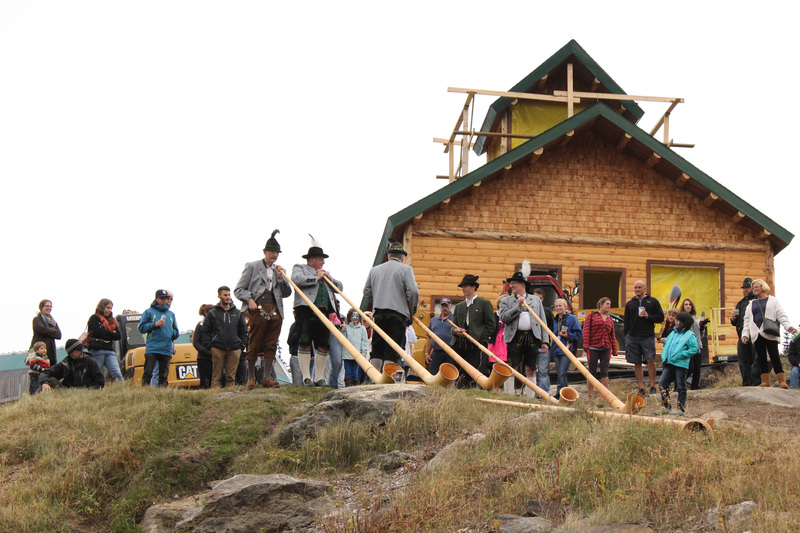 Inside the Whiteface Lodge, the Yodelers teamed up with a traditional German band, DSB die Schlauberger. I really wish this photo came out better. Oh well! Can't beat that view! 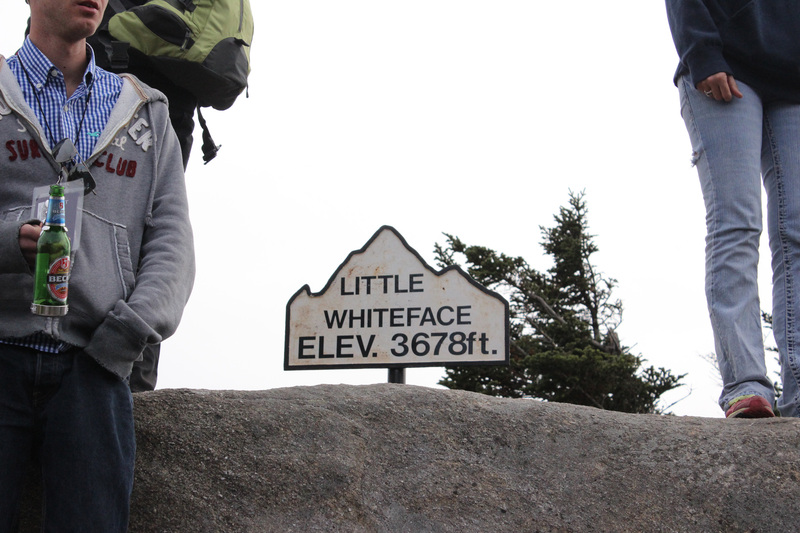 This is why I love the Adirondacks. 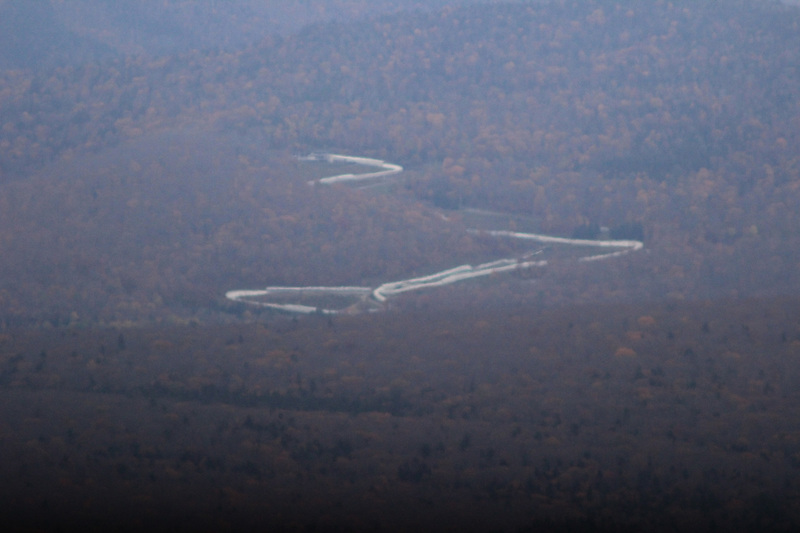 Halfway up the mountain, looking down. 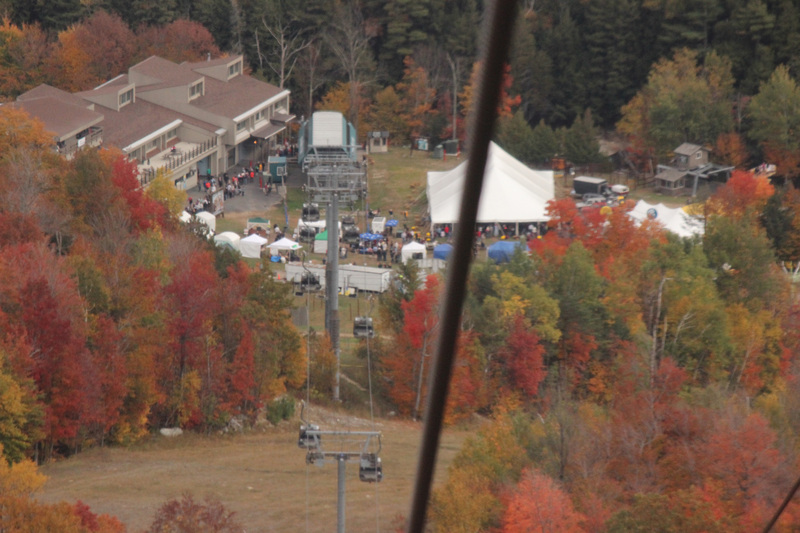 A better view of the festivities below. 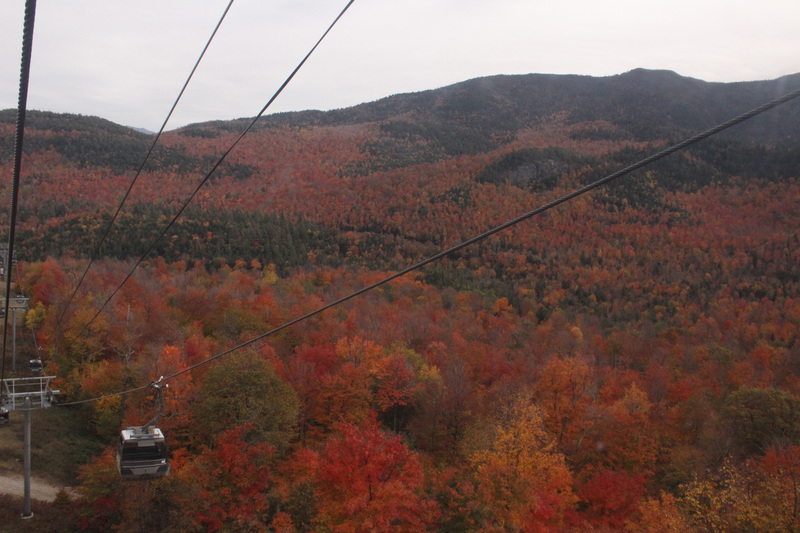 The line across the picture is the arm-size cable hauling our gondola to the summit. Nearly there! 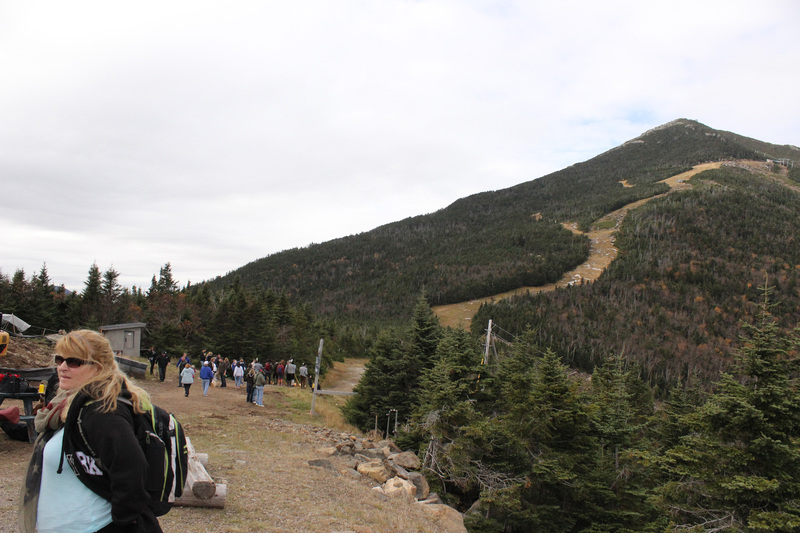 And an amazing view of the surrounding mountains. 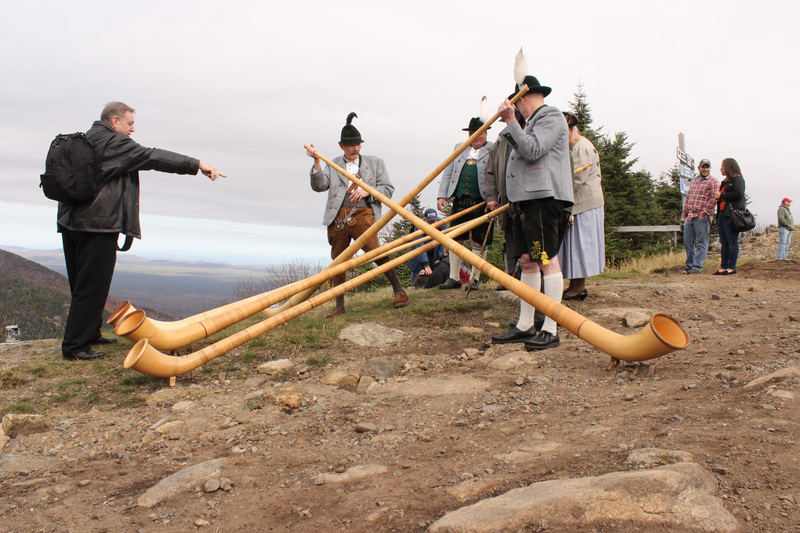 We met our yodeling friends from earlier, they were demonstrating how sound from their alphorns could be bounced off other mountains and heard echoing. Very neat demo! 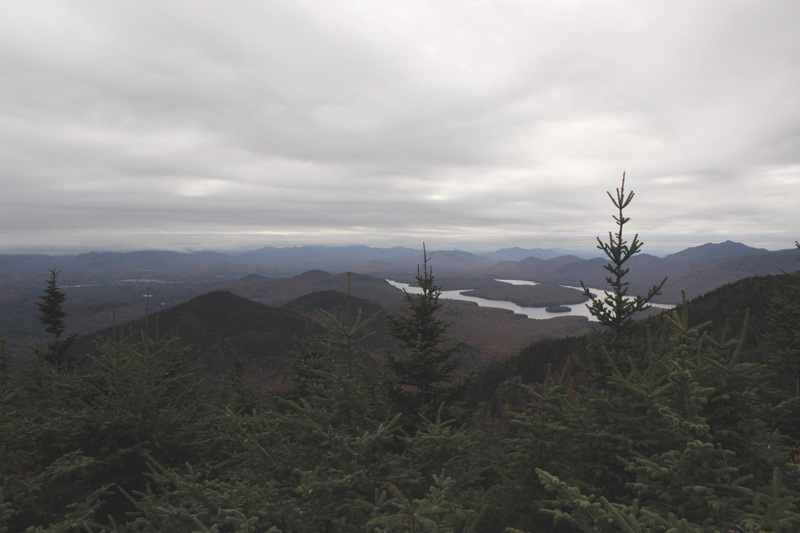 Facing the opposite direction as the previous photo, the view of Whiteface from Little Whiteface. 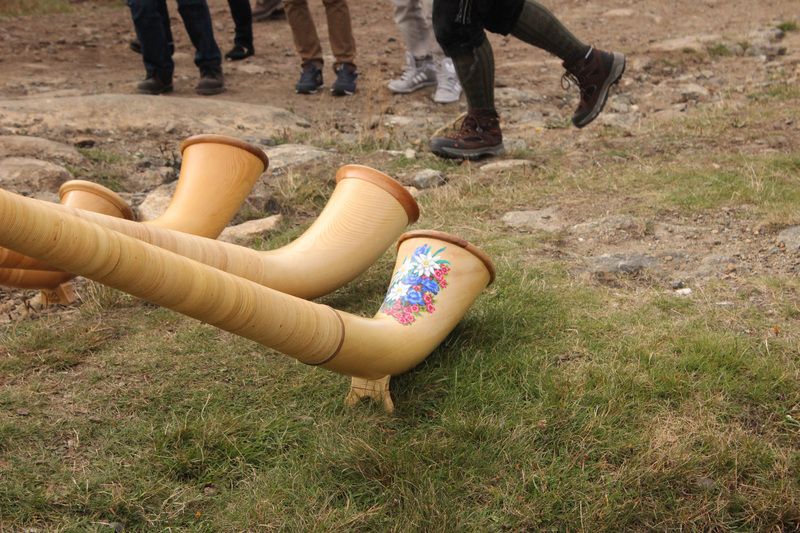 The business end of some of these horns. Looking east. 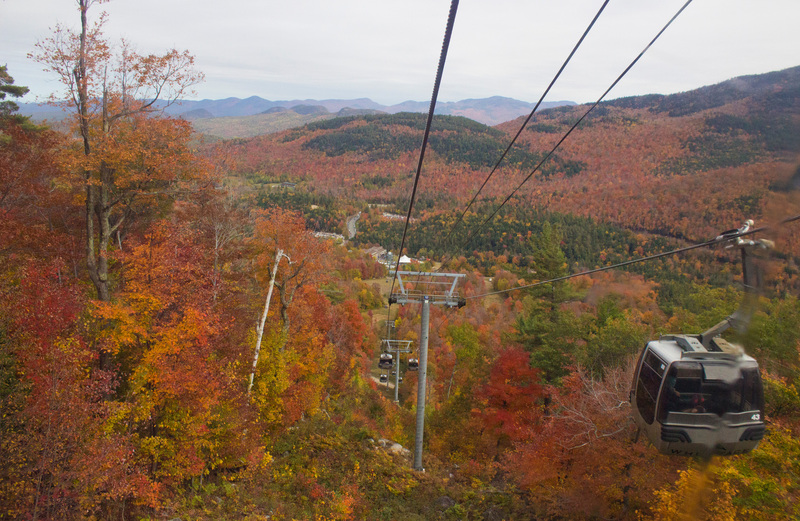 Facing north, a good view of the ski trails connecting the two mountains. 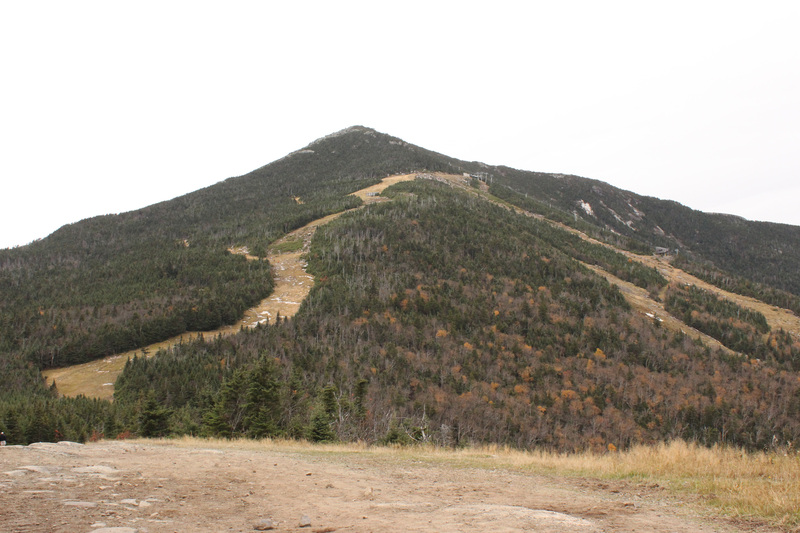 A short distance from the gondola drop-off, the peak of Little Whiteface. 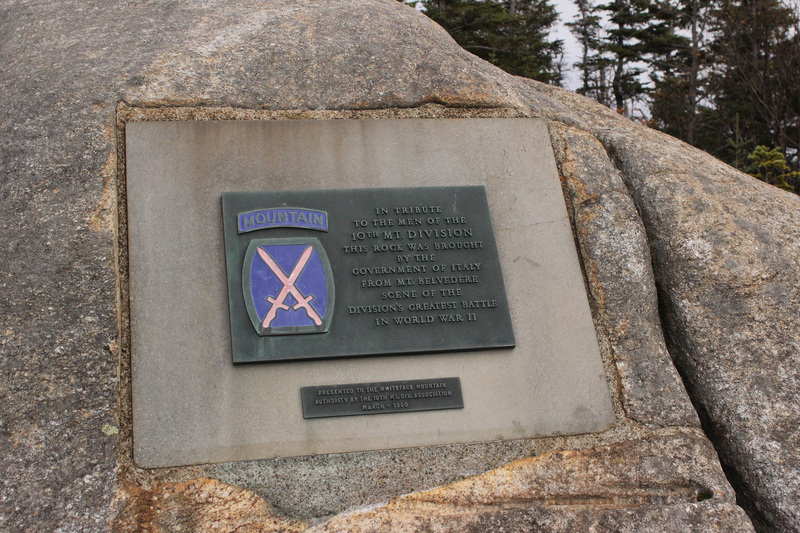 A tribute to soldiers of a local division in WWII, a gift from Italy. Not the best photo, but I think it came out alright considering the range was about 12 miles. 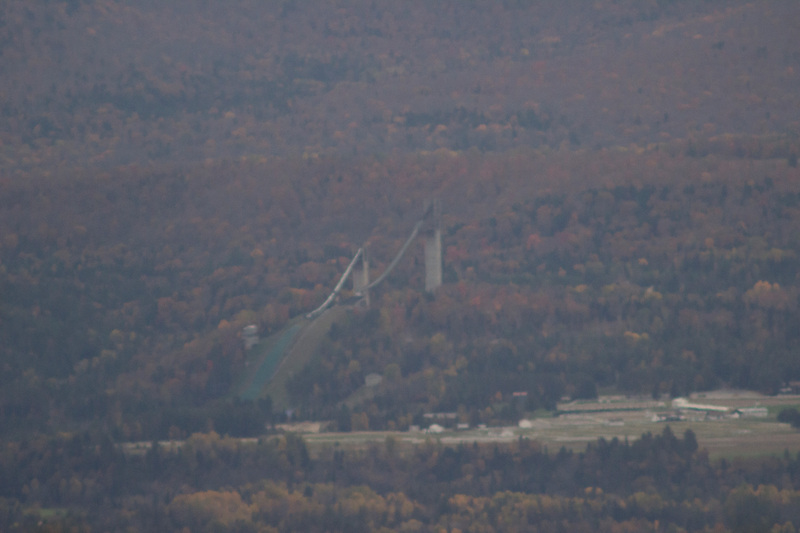 Another long distance shot at about 8 miles, the Olympic Bobsled run at Mt. Van Hoevenberg. 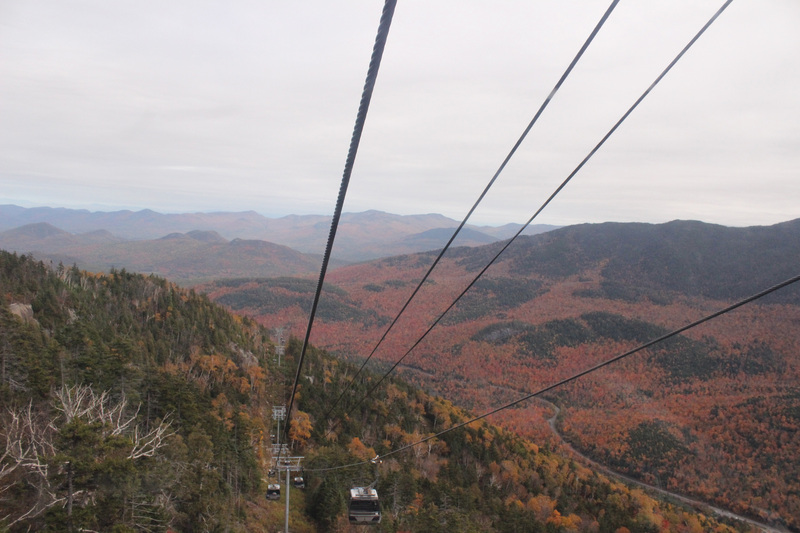 Facing west, the view of Lake Placid from the mountain. 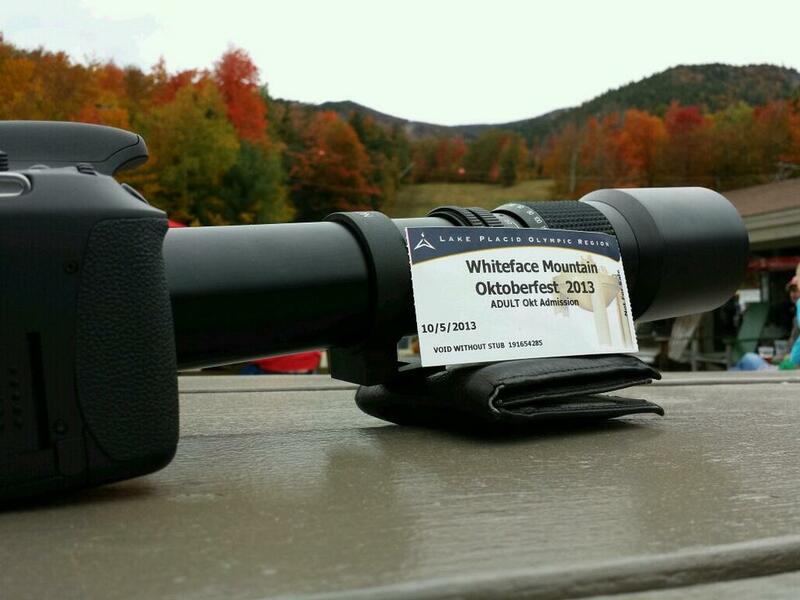 My "Cannon" and my ticket. 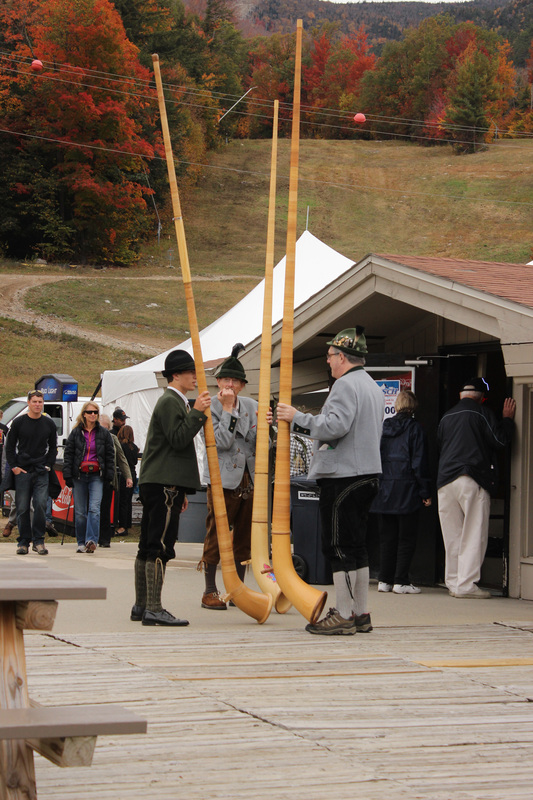 Every October, the ski resort at Whiteface Mountain has a small Oktoberfest. 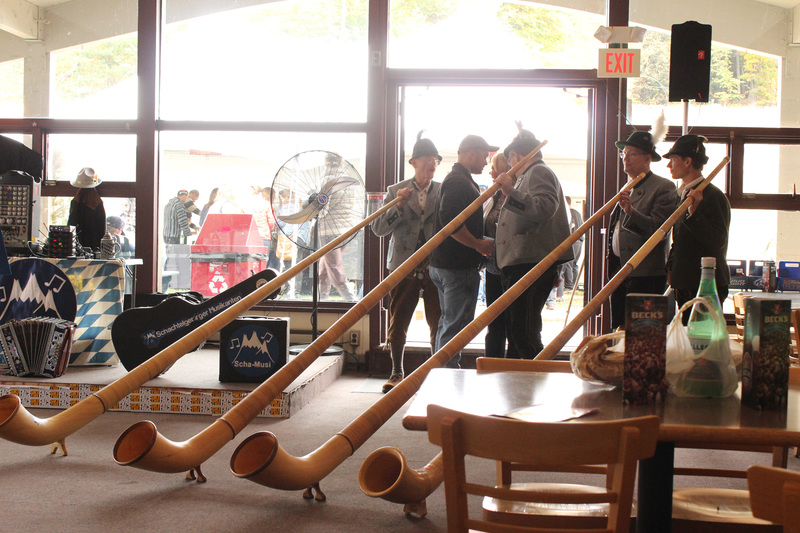 Traditional German music, food, beer, and demonstrations are featured, and many local vendors come to show off their homemade crafts. This is the first time I've gone in many years, and the first time I went being older than 21! 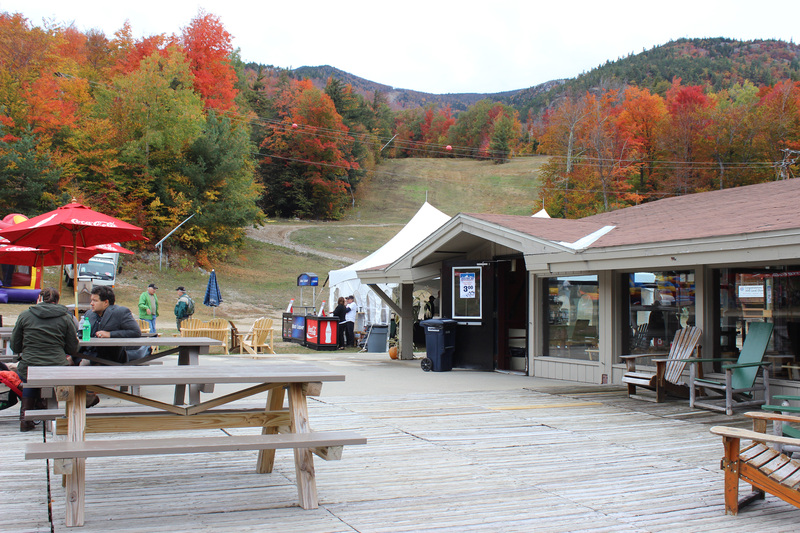 It's a ton of fun and is definitely worth checking out if you're in the area during the skiing offseason. The atmosphere at these events is always awesome, it's friendly and inviting. 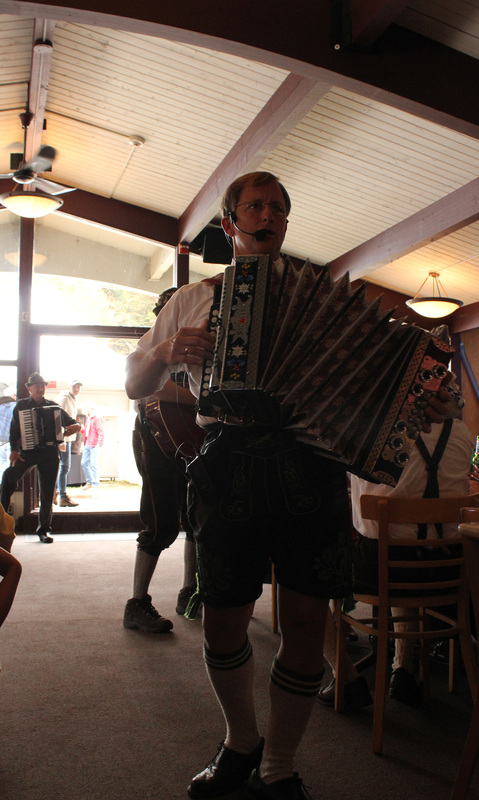 And I'll never forget the angry-sounding accordionist saying "Drink the beer, Now" in his thick accent. Beer connoisseur? 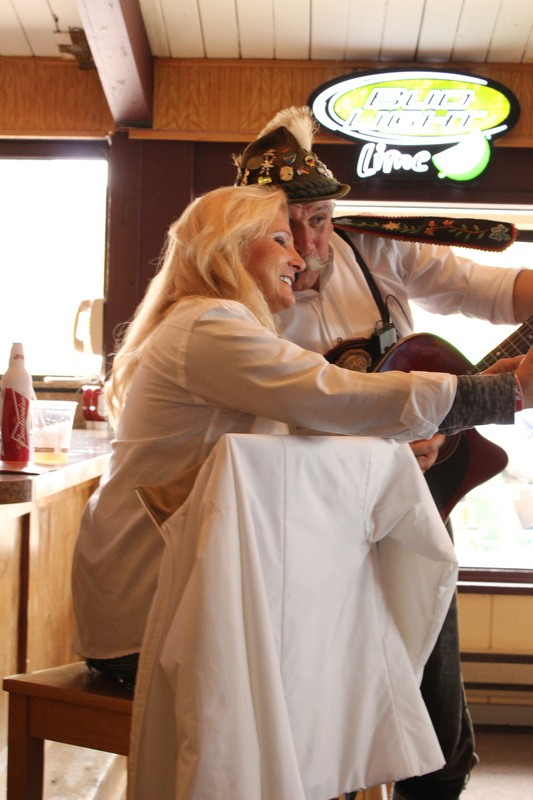 Does your town hold an Oktoberfest? Tell me about it in the comments!